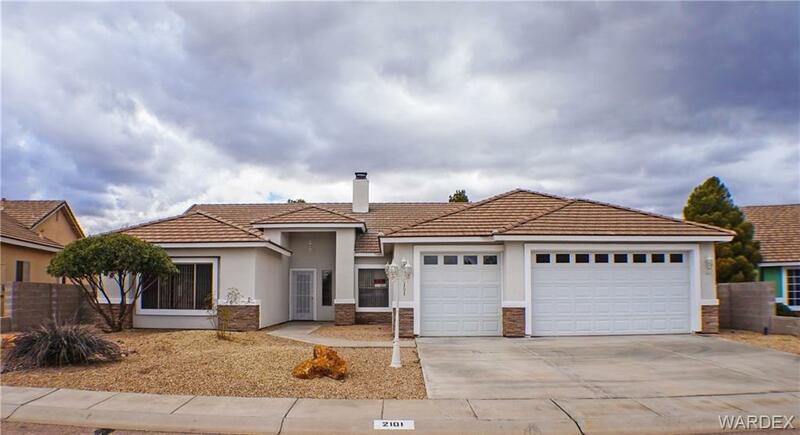 Beautiful 3bd 3ba home in Walleck Ranch. This home has a great layout with an open kitchen and living area, casual and formal dining rooms, split bedrooms, fireplace, window coverings, New exterior two tone paint on stucco and eaves. New stove and Microwave, Water Heater and AC were replaced in 2017. Huge Master Bedroom with dual vanities, separate tub and shower. AZ Room/ Exercise Room off of the kitchen with its own free standing Heating and AC unit. Covered back patio with a built in Barbecue and Refrigerator, existing power in place for a jacuzzi. The backyard is very private and beautifully landscaped with an outdoor Gazebo. Must See!